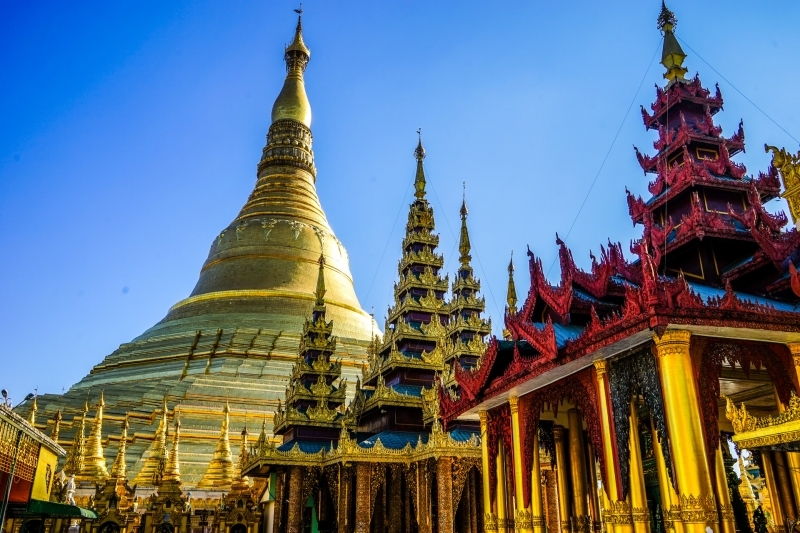 Known as “Queen Of The East” in the 1880s, Yangon, Myanmar’s largest city, has always held promise. Seeing its potential, 19th century colonist and writer Sir George Scott predicted that Yangon’s trade would outstrip that of Calcutta and rival the most celebrated American cities. pretty colonial architecture. Like so many parks, museums, and other city attractions, the market was renamed after Major General Aung San, one of the country’s most beloved heroes for his role in engineering Myanmar’s independence from British rule. Sadly, he would be assassinated six months before realizing his dream of an independent Myanmar. blessed with copious amounts of natural resources including rubies, sapphires, jade, natural gas and dense teak forests, and active in international politics, even home to the UN’s third secretary-general, U Thant. 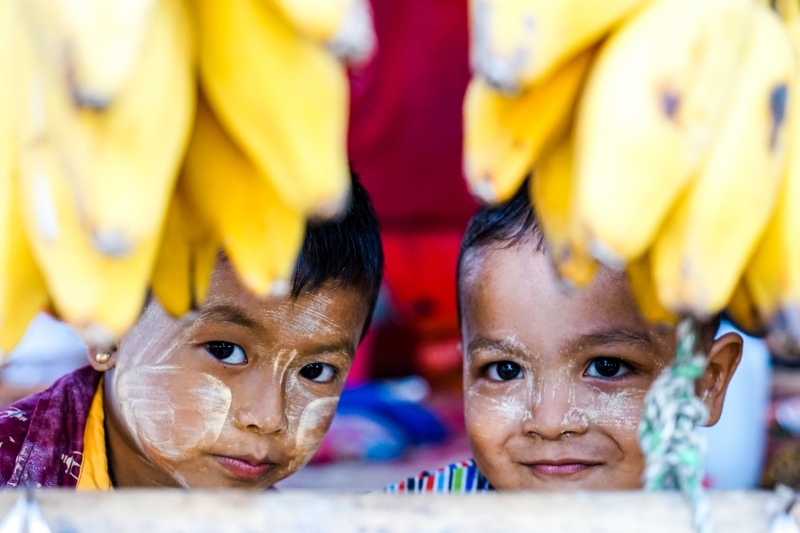 Within 40 years, though, Myanmar would find itself ignominiously saddled with Least Developed Country status and is still one of the poorest countries in Southeast Asia, barely beating out last-place Cambodia with a per capita gross national income of just USD 1,160. I explore the pretty yet dilapidated streets of Yangon searching for answers on how a country with so much promise had fallen so low, so fast. The many hundreds of colonial buildings left in Yangon are testaments that Myanmar’s independence from Britain came at a heavy price. In the decade following, the government began to crumble under competing interests, ambitions and loyalties, secessionist ethnic states were involved in civil conflict and the country’s economy was in shambles, providing a perfect storm for General Ne Win, commander of Burma’s armed forces, to step in and take power in 1962. Tired of decades of foreign intervention and economic exploitation by the British, Indian, and Chinese among others, Ne Win introduced the “Burmese Way to Socialism,” a generation of xenophobia and extreme socialist economics that many liken to present-day North Korea. Turning to a policy of isolationism, the military government expelled Western foreign aid agencies, closed down foreign businesses and issued tourist visas of only 24 hours. 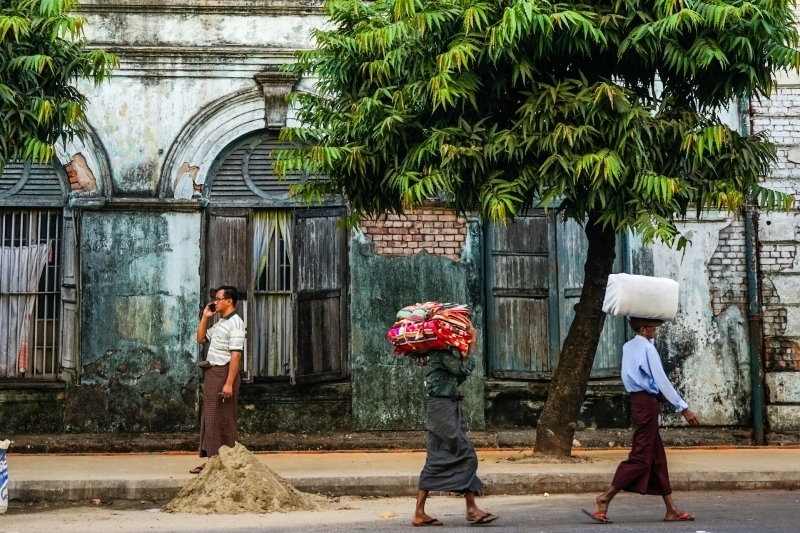 I find myself walking through Yangon’s historic downtown, down the tree-lined street of Pansodan to the Yangon River. Seen from above, the area looks like a chessboard, rebuilt on a grid plan in the 1850s under the British. 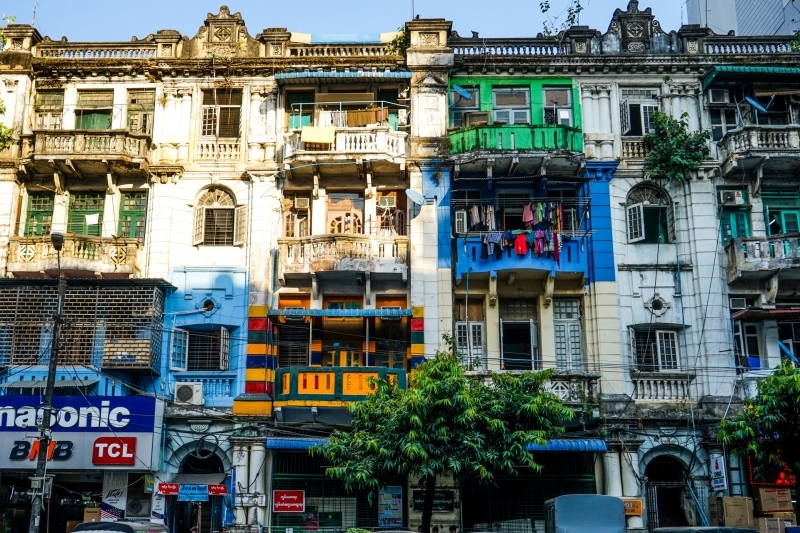 The streets are lined with colonial-era apartment buildings with pretty balconies and peeling paint, known colloquially as “Indian apartments” after the Indian officials brought in by the British Raj to govern Myanmar. By the 1930s, Yangon was more than two-thirds Indian, but beginning in 1964, General Ne Win began expelling them, even those who had been in Myanmar for generations. pale blue paint serves as a classroom. Various buildings around the grounds house painting, sculpting and music workshops. I watch as 20-year-old Aung Zaw Win plays a complicated piece on the pattala, a boat-shaped Burmese xylophone, in preparation for final exams. His mallets dance over the instrument, exposing a tattoo on his forearm of a music clef blooming into a flower. Elsewhere, half-finished sculptures with missing limbs add to the peculiar vibe of the school, a contrast of young, passionate artists preparing for their future in the setting of an eerie, decaying mansion. with very little finding its way back to the people. One afternoon, I hop on the circular train, a 3-hour, 28-mile, 39-station loop that chugs its way around metropolitan Yangon. Hawkers transit through the carriages selling corn-on- the-cob and green bananas to sleepy commuters. I alight at the busy market town of Insein, a waypoint for goods from up north headed into Yangon. 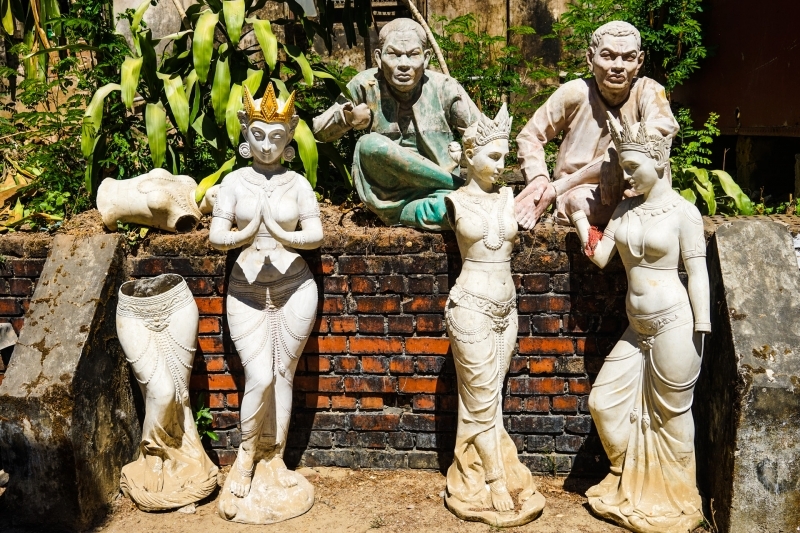 The Burmese have a joke that long before Google pioneered them, driverless cars were invented in Myanmar, referring to trucks carrying illegal goods of corrupt officials that suddenly became ownerless when stopped by the police. to bamboo homes with tin roofs where families run small businesses like making candles for pagoda offerings and crafts from recycled materials. People fill jerry cans with water from a town well or from lotus-filled ponds when the wells run dry. 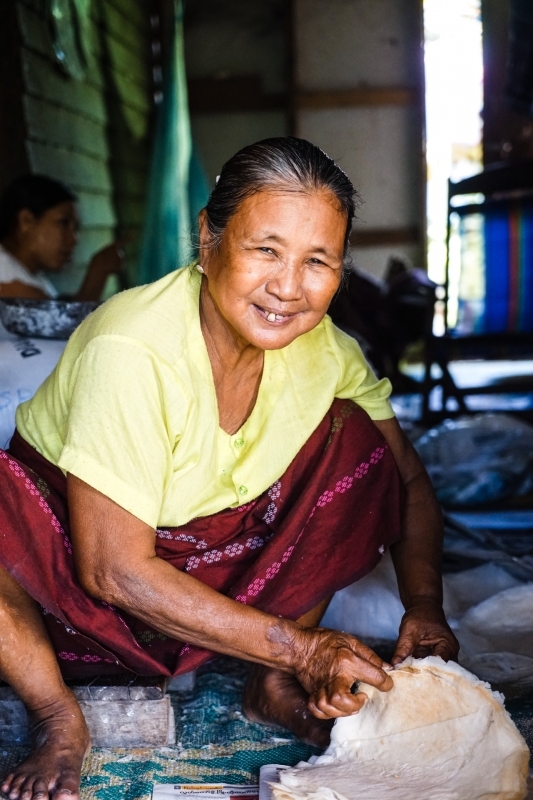 old Daw Thin Htay, a woman with handsome features and calloused hands as she oversees some nephews and neighborhood boys making rice paper in a carefully choreographed display involving 16 griddles and some very gloopy dough. I find out that her family moved to Dala 30 years ago when the military government took her farmland up-country, ostensibly for some “project” that never went through. I ask if there’s any way she can get her land back and she laughs the laugh of the impossible. “I’m still bitter, but I believe in karma. Their time will come,” she says. I begin to understand why a Burmese proverb lists government among the five evils, together with fire, flood, thieves and enemies. The world’s attention would focus once more on the plight of the Myanmar people under an isolationist regime when Cyclone Nargis struck in May 2008, devastating the densely populated, low-lying Ayeyarwady Delta, including Dala, in the worst natural disaster in the country’s recorded history. Upwards of 138,000 people were killed and damage was estimated at USD 10 billion. Initially, the military junta blocked entry for large-scale international relief efforts allegedly out of fear of foreign invasion, only later bowing to international condemnation. It would signal the beginning of the end of a flawed regime. Just two years later, the military junta handed over power to a nominally civilian government after the first elections in 20 years, and released Nobel Peace Prize winner and pro-democracy leader Aung San Suu Kyi after almost 15 years of house arrest. 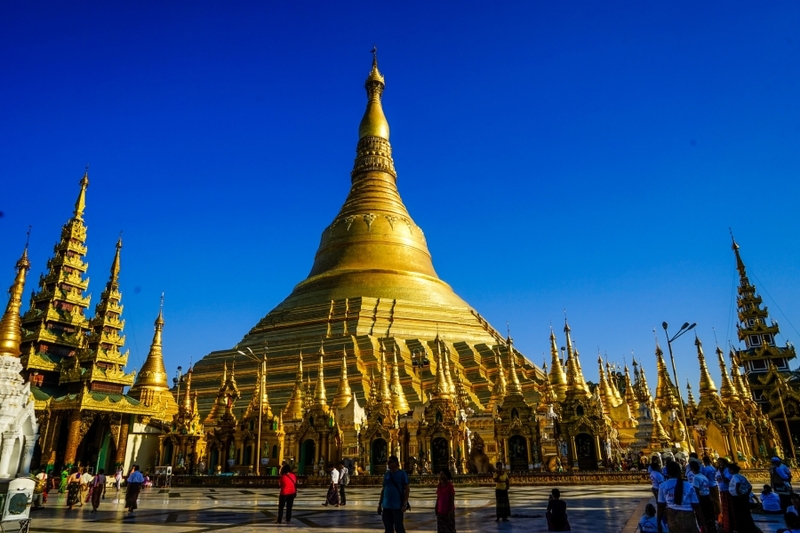 Shwedagon has indeed witnessed some of the country’s most momentous occasions. It was there when Yangon was but a small fishing village (then known as Dagon) built around the pagoda over 2,000 years ago. It was there when the British took advantage of its commanding elevated terraces and used it as a military post. It was also there that in January 1946, General Aung San demanded independence from the British. Forty-two years later, his daughter, Aung San Suu Kyi, would give her first public speech in front of Shwedagon to half a million people calling for democracy from the military regime through non-violent resistance. Known affectionately as “The Lady,” Aung San Suu Kyi and her party, the National League for Democracy, were finally voted in to power in 2015, although she was barred from becoming president by clauses the military government had inserted into the 2008 constitution especially for her. It took an eagle-eyed constitutional specialist, Ko Ni, to find a loophole allowing parliament to create a new position for her, even higher than president. Other improvements are in the works, although at a glacial pace, limited by budgetary and other constraints. Gorgeous colonial-era buildings lay abandoned or taken over by squatters with no state money for maintenance or restoration. The day before I arrive, a new bus system had been put into place consolidating some 300 bus routes from four companies into just one system with 70 routes, vital in a city where motorbikes have been banned since 2003. Smiling volunteers were handing out maps of the new routes to long lines of people waiting for delayed, dilapidated buses yet to be upgraded. On a ferry ride, I strike up a conversation with a woman in a crisp white blouse and jewel-toned longyi, hair pulled back in a neat bun. Talk soon turns to politics and I wonder whether news of The Orange One had made it all the way to Myanmar. “We were so sad Hillary didn’t win,” she says while sharing a little bag of fried samosas with me. “She and Aung San Suu Kyi were best friends!” She’s referring to Hillary Clinton’s historic 2011 visit, the first from a high-ranking US official in nearly 50 years. For Clinton, improving relations with Myanmar would be regarded by many as the highlight from her time as secretary of state. For the Myanmar people, a Clinton presidency held out hope of desperately needed foreign investment that has been slow in coming in a country where frequent power cuts and a business culture based on facilitation payments and a lack of transparency still persists. the on-going armed conflicts amongst some of the country’s 135 ethnic groups, especially along the western border with Bangladesh and the northern border with China in what has been described as one of the world’s longest running civil wars. Aung San Suu Kyi’s government is further hampered by a provision in the constitution guaranteeing 25 percent of the seats in parliament for unelected military representatives able to veto any changes to the constitution. by news that Ko Ni, the legal adviser who helped Aung San Suu Kyi become State Counsellor and de facto head of government, was gunned down at Yangon Airport, supposedly by a former lieutenant-colonel in the army. It’s said that he was working on a new draft of the constitution that would once and for all strip the military of its extraordinary political powers. Despite the setbacks, the people of Yangon seem ready to wait just a little bit longer for a unified and peaceful Myanmar. On my way to the famed hole-in-the-wall eatery, 999 Shan Noodle Shop, I come across a peaceful anti-war demonstration with people holding up colorful “Stop War” signs with pictures of white doves and olive branches. When I ask Thwe if changes are coming quickly enough for her, she says: “We trust The Lady. She loves our country. We just don’t want to fight anymore.” Perhaps it’s finally time for the city to live up to its name, not as the Queen of the East or as British Rangoon, but as proud Yangon, meaning “End of Strife”.